Earlier today (Monday 9 July 2018) the British Cave Rescue Council divers resumed the evacuation operation, taking lead and support roles in the dive team. Although rain has started to fall at the cave site, the conditions have not significantly changed yet, therefore the principles of the rescue followed the same format as yesterday. As a result the speed of exit for the four boys today was some two hours faster, without compromising the safety of either the boys or the divers. A British Cave Rescue Council spokesman stated "today's rescue again shows how closely and effectively the multinational dive team work together. This demonstrates the commitment shown by these volunteers." The boys have all been transported to hospital where they are receiving appropriate care. The four boys and their football coach will remain in Tham Luang Nang Non Cave for a final night. It is hoped that they are successfully evacuated tomorrow. 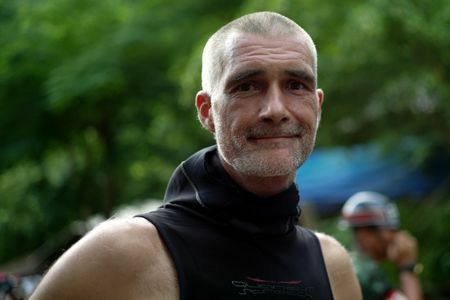 Ivan Karadizic, a Danish diving instructor, was on holiday in Thailand when he heard the news of 12 boys and their coach were trapped in a flooded cave. He set off to help with the rescue. On Sunday 8 July 2018 he was stationed inside the Tham Luang Nang Non cave system to help guide the rescuers through. He spoke about his experience of the rescue mission to get the first four boys out. "They are getting forced to do something that no kid has ever done before. It is not in anyway normal for kids to cave dive aged 11. They are diving in something that is considered an extremely hazardous environment in zero visibility. The only light in there is the torch light we bring ourselves. We were obviously very afraid of any kind of panic from the divers. Then there is multiple equipment malfunction as you can imagine. So we had a contingency plan if this breaks, ok what are we doing to do? We are going to do this. What if this breaks? Then we have this one as a back up. And so on, and so forth. I cannot understand how cool these small kids are, you know? Thinking about how they've been been kept in a small cave for two weeks, they haven't seen their mums." Karadizic said that he was very scared when he first saw a diver with a child coming towards him in the cave. "We cannot see that far in the cave, may be around 50 metres / 164 feet, I still did not know if it was a casualty or if it was a kid. So I was, I was very scared yes. It didn't feel good. But when I saw that he was alive and breathing and seemed to be alright, it felt very good."